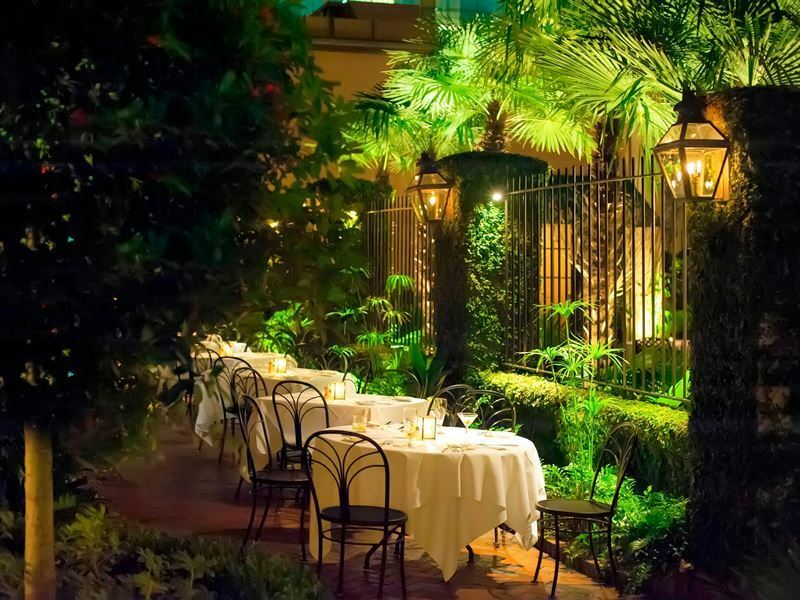 Whether you’re looking for an intimate restaurant for date night, a chic venue to celebrate a special occasion or just somewhere out of the ordinary to indulge in a memorable meal, Charleston’s dining scene will not disappoint. 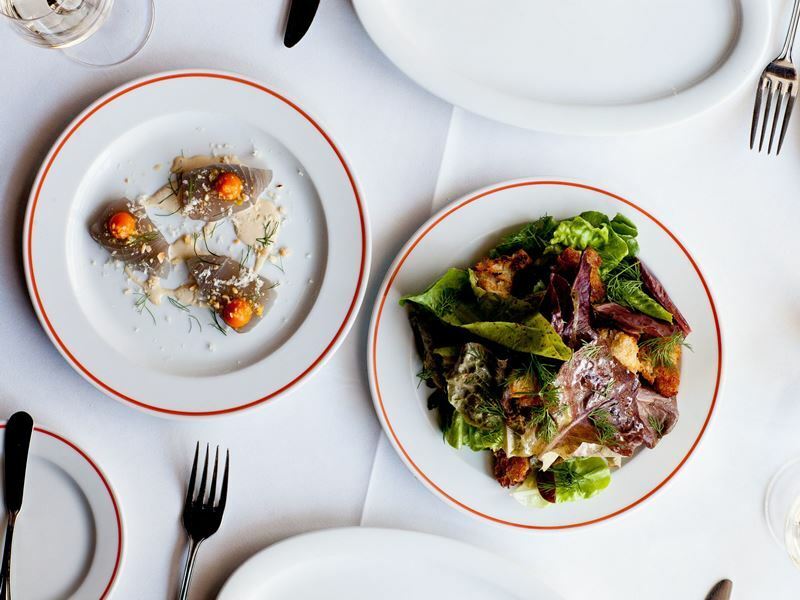 From the regional Lowcountry fare and Mediterranean-inspired Italian eats to steakhouses serving up hearty portions and sophisticated dining rooms specialising in fresh seafood, this charmingly traditional port city caters for everyone’s taste buds. To help make the gruelling choice of where to eat just that tiny bit easier, we’ve put together a list of the top 10 fine dining restaurants in Charleston, South Carolina. 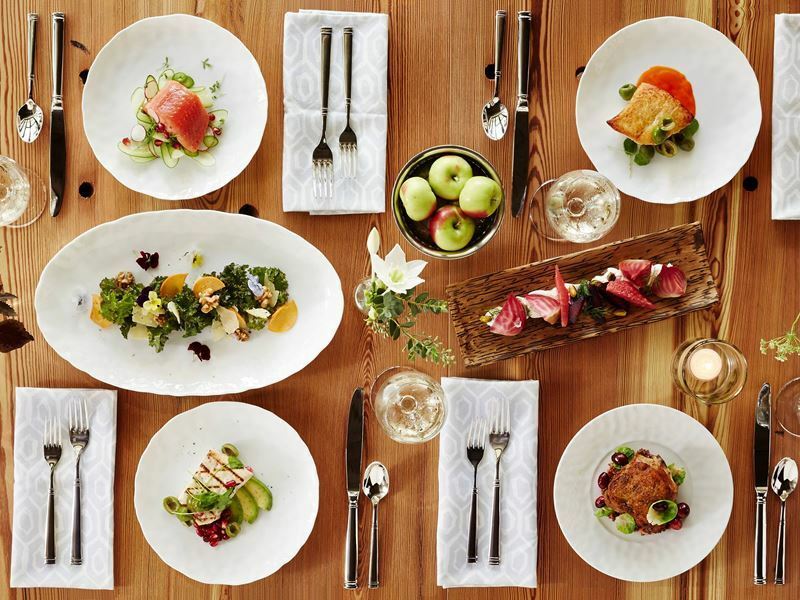 The scene: The city’s original farm-to-table innovator, FIG serves up a wonderful seasonal menu of refined southern cuisine, inspired by an honest passion for simple flavours and superior ingredients. Thanks to the casual, minimalist décor and laid-back friendly staff, the restaurant oozes an approachable and convivial atmosphere which makes it perfect for people who want the gourmet cuisine without the fine dining environs. Although dishes change literally every night according to which fresh produce is best each day, the menu is always comprised of a generous selection of fascinatingly epicurean starters, ranging from gig flounder with winter truffle to crispy chicken with forest mushrooms, followed by equally intricate main courses, such as suckling pig with Carolina gold rice and mustard-crusted swordfish with browned butter. 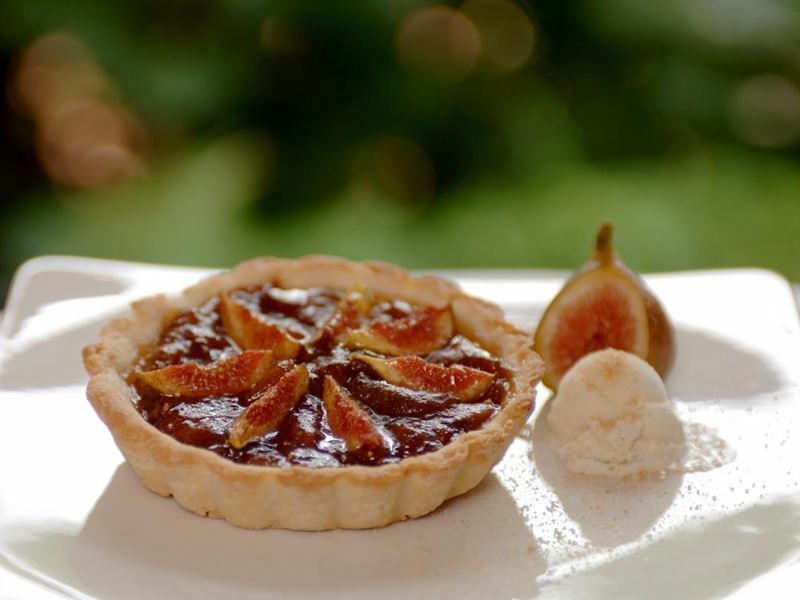 The decadent dessert menu tempting you with a variety of fruit- and chocolate-based delights is always worthy of a glance and is paired with a surprisingly vast array of after-dinner teas, coffees, spirits, bubbles and dessert wines. Signature dish: Creamy chicken liver pate served with a rich rabbit terrine en croute. The scene: Serving seasonal Mediterranean dishes in a beautifully whimsical dining room reminiscent of clandestine courtyard, Cannon Green is a highly-acclaimed farm-to-table restaurant that emphasises all things fresh, local and seasonal. Although the menu is constantly evolving to make the most of what’s in season, what doesn’t change is the way the chef elevates simple, pure ingredients into an edible extravagance with every mouthful. From fresh, crisp salads created with local produce and classic Italian meatballs made from grandma’s special recipe to rich duck breast served with charred baby onions and snapper dressed in a delicate chardonnay butter, this restaurant has got everything you need to satisfy all epicurean cravings. The dining room is nestled in one of Charleston’s most dynamic neighbourhoods and honours the elegance and wisdom of the stunning 19th century house it’s set inside, creating a unique classic-meets-cosmopolitan ambience that mirrors the restaurant’s fabulous culinary approach. Signature dish: Raviolo – Celestial Farms’ duck egg, spinach, ricotta cheese, brown butter and garlic chips. The scene: Perfect for a classic southern American culinary experience, Magnolias is a gorgeous restaurant imbued with refined local charisma. Eye-catching wood panelling covers the floor, bar and ceiling, providing a striking contrast for the blue-grey coloured walls, white linen tablecloths and small floral centrepieces. The result is a visual representation of the cuisine: traditional southern American meets modern fine dining. The menu starts off with enticing small plates of fried green tomatoes, seared crab cakes and smoked pork belly, followed by robust down south dinners of Carolina barbecue pulled pork with mac & cheese, blackened salmon with Creole grits and buttermilk fried chicken breast with a cracked pepper biscuit. The heavenly hearty fare isn’t restricted to dinner. Magnolias’ brunches are beyond sublime, with an incredible menu bursting at the seams with peach pop overs, prawn gumbo omelettes, banana pudding-stuffed French toast and eggs benedict Lowcountry-style. Signature dish: Shellfish over grits – Sautéed prawns and sea scallops on creamy white grits, topped with lobster butter sauce and fried spinach. 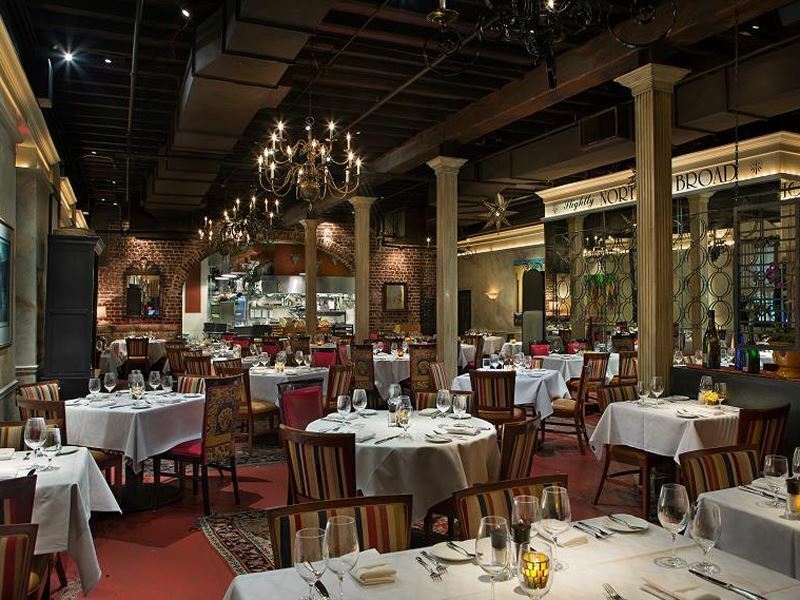 The scene: Starring a huge range of excellent-quality steaks prepared beyond perfection, Grill 225 is a dramatically elegant steakhouse set inside the Market Pavilion Hotel within the French Quarter. With ornately decorative white-washed ceilings, classic artwork lining the 19th century-style walls and attentive staff who always seem to appear at just the right time, this fine dining restaurant has the perfect upscale ambiance for when you want to treat yourself to a little something special. 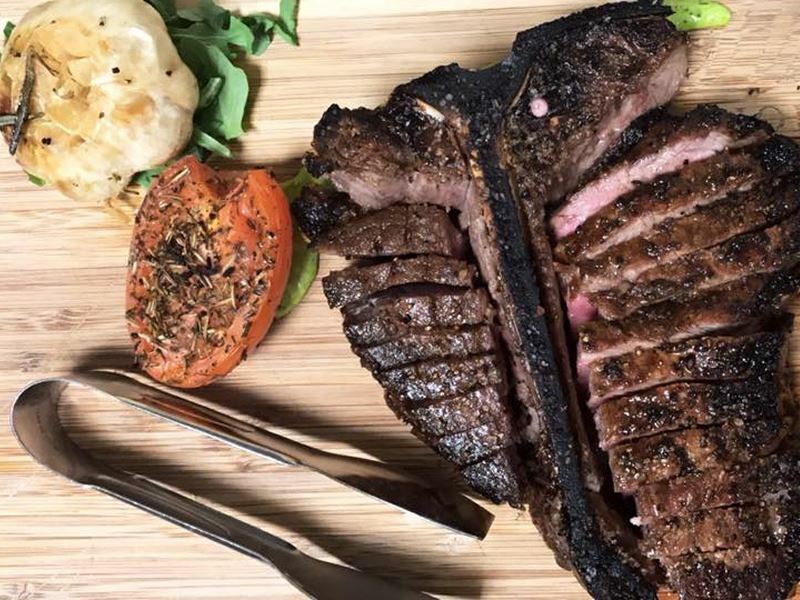 The protein-laden menu features all sizes of every steak you could imagine (filet mignon, New York strip, ribeye, veal rib chop, tomahawk ribeye…) which you can turn into an even more extravagant meal with additions such as broiled cold water lobster tails, foie gras and a colossal lump crab cake. In addition to gourmet beef, the menu also highlights fantastic seafood, garden-fresh salads, Maine lobster dishes designed to be shared family-style and all kinds of specialities, including, somewhat surprisingly, a vegan tofu cassoulet. 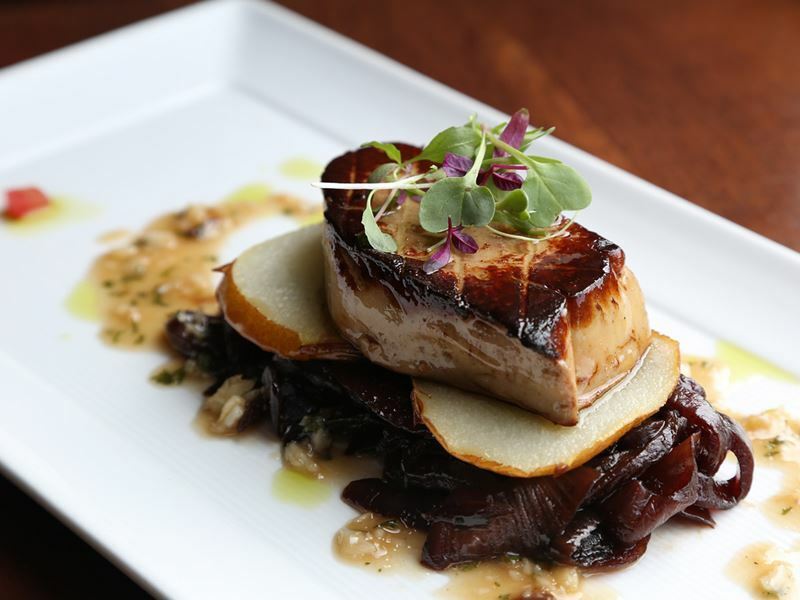 Signature dish: 10oz USDA prime filet foie gras – filet mignon topped with sliced foie gras, served with a truffle Béarnaise, parmesan cheese and fig demi-glace. The scene: A Charleston locals’ favourite where reservations are an absolute must, Slightly North of Broad is a delightful southern bistro set inside an extraordinary 1700's building. Bare-faced brick walls, hanging chandeliers and imperial columns give the dining room an impressive fine dining feel, while the open kitchen and ideally-positioned chef’s table provide a buzzing atmosphere for anyone who wants to be in with all the action. 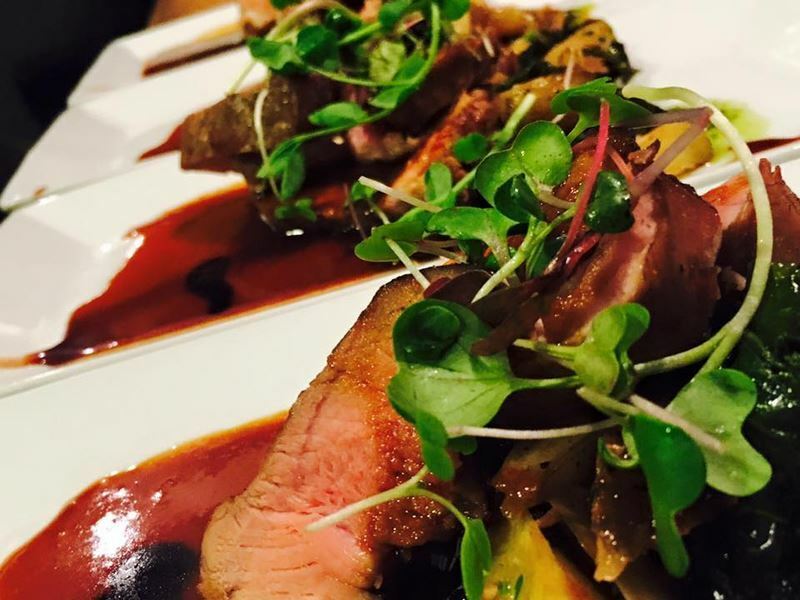 The menu exhibits the best in Lowcounty gastronomy, ranging from grilled prime ribeye served with madeira sauce and truffle butter to barbecued tuna steak, topped with fried oysters, green onions and country ham butter. For a real southern dining experience, there’s a fantastic selection of classic side dishes to choose from, such as yellow squash custard, Carolina gold rice and the famous Geechie Boy yellow grits. While the wine list is truly remarkable with a huge range of red, white, rosé and sparkling wines available by the glass, bottle or half bottle, the signature cocktails are really where it’s at. Signature dish: Shrimp and grits – a generous serving of Geechie Boy grits topped with prawns, house-made sausage, country ham, tomatoes, green onions and garlic. The scene: Home to gas-lit carriage lanterns that flicker invitingly as diners walk up the meandering path leading to the grand entrance, Peninsula Grill sets the scene for a magical evening before you even step foot inside. Continuing the alluring ambiance from the gardens, the main dining room flaunts velvet-lined walls in glistening oyster tones, attentive waist-coated servers and a constant buzz in the air that lends the restaurant a deluxe supper club feel. 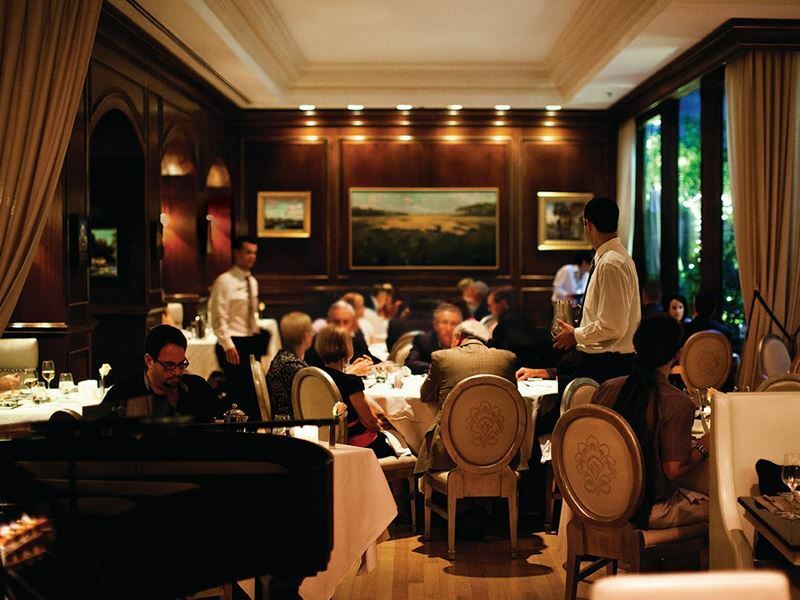 The lavish menu contains sophisticated interpretations of southern cuisine, executed to Relais & Châteaux standards. From the oysters, lobster and caviar that grace the champagne bar menu to the roasted duck breast, seared black grouper and ribeye steak found on the main evening menu, the cuisine at Peninsula Grill is defined by high quality, fresh ingredients prepared magnificently. To complement the superb dinner menu, there’s an award-winning wine list with more than 300 selections, in addition to a small selection of classic cocktails. Signature dish: The ultimate coconut cake – a 12-layer sponge cake sandwiched with coconut crème anglaise and topped with cream cheese icing, toasted coconut and strawberries. The scene: The city’s gold standard for indulgent southern dining with a contemporary international influence, Charleston Grill offers an intriguing menu divided up into four unique experiences. The ‘Pure’ menu features simple dishes with clean flavours, such as the Norwegian ocean trout with blood oranges, while the ‘Lush’ menu boasts French-inspired lavish dishes, like the grilled rack of lamb with mint chimichurri. 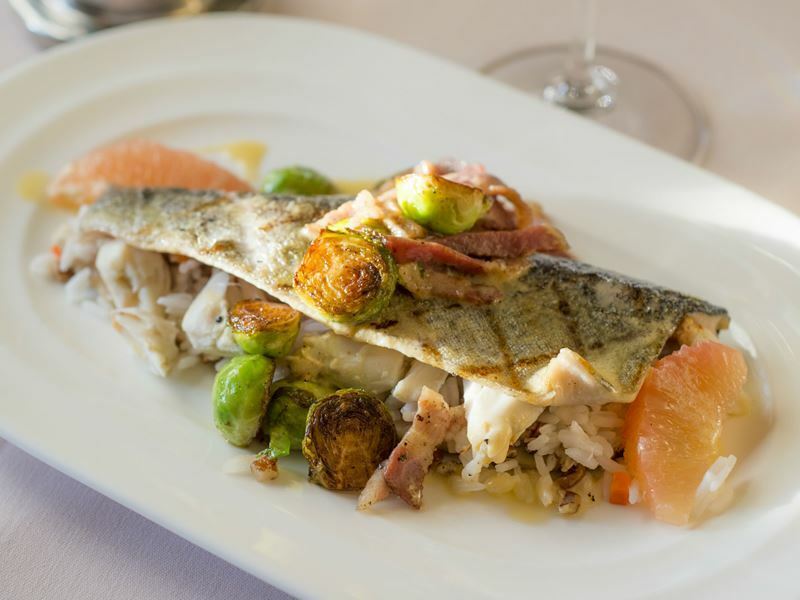 Exotic and imaginative dishes, such as sea scallops with a chilli-chorizo vinaigrette appear on the ‘Cosmopolitan’ menu, while the classic ‘Southern’ menu is filled with Lowcountry delights, like Roasted Palmetto squab with crackling. Whichever enticing menu you choose from, the opulent surroundings, created by soft jazz music that bounces off wood-panelled walls, crisp white tablecloths topped with red rose centrepieces and impeccable servers trained in the French tradition provide the perfect environs in which to saver a truly outstanding dining experience. 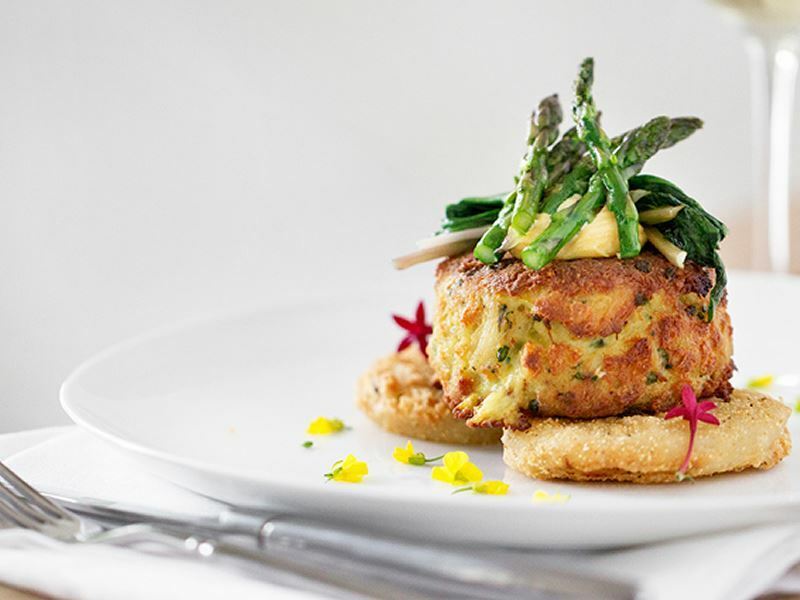 Signature dish: Charleston grill crab cake, made with Creek prawns and dressed with a lime, tomato and dill vinaigrette. The scene: Proving that white linen tablecloths, silver spoon service and a tried-and-tested menu aren’t always the essential ingredients for a fine dining restaurant, R. Kitchen serves up a nightly-changing five-course menu in a casual dinner party atmosphere. Seating a maximum of 16 at a table along the open kitchen and an extra 20 on the covered patio, this unassuming concept venture invites you to sample a medley of exciting and ingenious small plates. Each menu is based entirely on the fresh, seasonal ingredients purchased that day and the preferences of the diners present on the evening, guaranteeing a totally different experience with each visit. Pull up a chair by the kitchen and you’ll get the chance to chat with the chef duo and ask them all your pressing culinary questions while they freshly prepare your meal right in front of you. R Kitchen is only open three nights each week and reservations get booked up months in advance, so secure your seat early on to avoid severe disappointment. Signature dish: Due to the nightly changing menu, there’s no signature dish. The scene: An intimate dining venue where hungry gourmands indulge in contemporary takes on classic southern cuisine, Circa 1886 guarantees something for every palate. The evening menu is made up of familiar yet innovative dishes, such as paprika-rubbed rack of lamb served with a yoghurt béarnaise sauce and duck “au poivre” served with pistachios and oranges, rounded off with home-style desserts you won’t be able to say no to. If you simply can’t settle on just one dish, there’s always the chef’s five-course tasting menu with optional wine pairing which introduces you to some of the very best dishes on a nightly basis. The setting of a former carriage house of the historic Wentworth Mansion, with intimate dining nooks perfect for date nights and large central tables ideal for groups and soaking up the tasteful atmosphere, boasts many of the original features, providing a beautiful setting for a leisurely lunch or decadent dinner. Signature dish: Jerk-brined antelope served with key lime grits, chayote-red cabbage and yam hash, coconut curd, mango rum gastrique and a coriander pistou. The scene: The ultimate foodie destination for when you want your every whim catered for by friendly and attentive staff, Halls Chophouse is a phenomenal American steakhouse with an old school vibe. Always home to a lively, energetic atmosphere popular with families, Halls Chophouse prides itself on using exclusively the finest and freshest USDA prime steaks which are wet or dry aged for a minimum of 28 days. 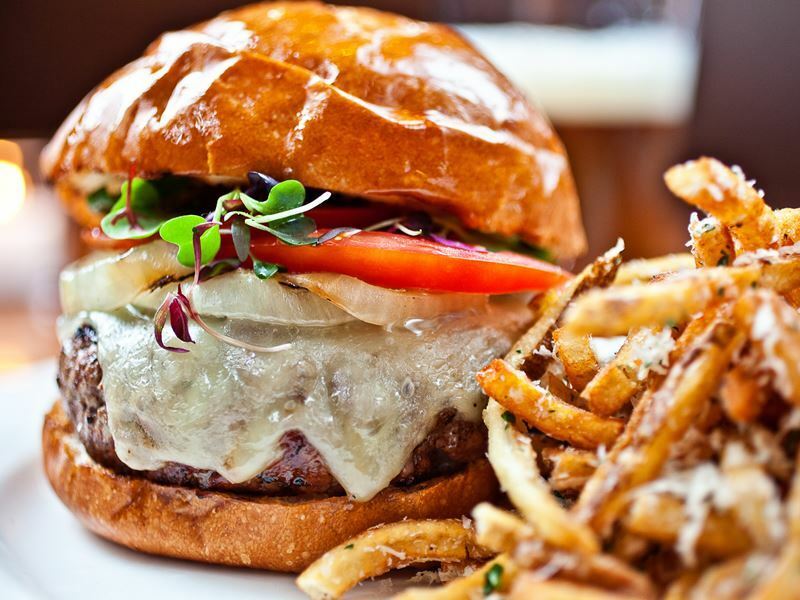 The rest of their menu showcases other superior quality meats, including veal, pork, roast chicken and what they consider to be the best burgers in Charleston – and you’ll find very few people who disagree! Not just for ravenous carnivores, the gastronomic nirvana also caters for vegans and vegetarians, with a wide range of freshly prepared and creative dishes made specially upon request, as well as a selection of seafood, plus catch-of-the-day served on Fridays and Saturdays. Their extensive and award-winning wine list highlights some of the finest producers in the US, with a selection of Napa Valley Cabernets that pair wonderfully with the signature steaks. Signature dish: Slow roasted 16oz prime rib steak. With such a powerful culinary scene that grows with every mouthful, Charleston boasts so many exceptional places to eat that it’s impossible to narrow the best down to only ten. Here are another seven fine dining restaurants in the area that didn’t quite make the top ten but are still 100% worthy of a reservation. Offering up a delectable medley of Middle Eastern delights ranging from shawarma and falafel to hummus and veggie platters, this family-run restaurant features exposed brick walls, plush leather banquettes and a sleek marble bar for a sophisticated, yet casual fee. This buzzing home-style dining room with a reliably dynamic atmosphere serves divine Italian fare, including an assortment of antipasti, house-made pastas and creamy rice dishes, alongside an amazing wine menu bursting with popular imported Italian labels. Exuding traditional Charleston charm, this romantic dining venue popular with couples celebrating special occasions serves classic southern cooking with a modern twist in its dreamy, romantic courtyard, neighboured by a classy bar, ideal for a pre-dinner cocktail or glass of wine. Showcasing the best of farm-to-table cuisine, this elegant restaurant serves up creative spins on classic Southern cuisine made with fresh, local ingredients inside a beautifully restored historic building with a sophisticated and refined atmosphere. This sleek and polished steakhouse delivers generous portions of premium-aged steaks and wagyu burgers, along with exemplary seafood dishes in a snug, modern dining room equally perfect for romantic dinner dates and casual evenings with friends. Another upscale steakhouse, this carnivore’s dream is set inside a 150-year-old building oozing with historic character and offers outstanding locally-sourced beef dishes, an impressive wine list and lively environs both classy and comfortable at the same time. 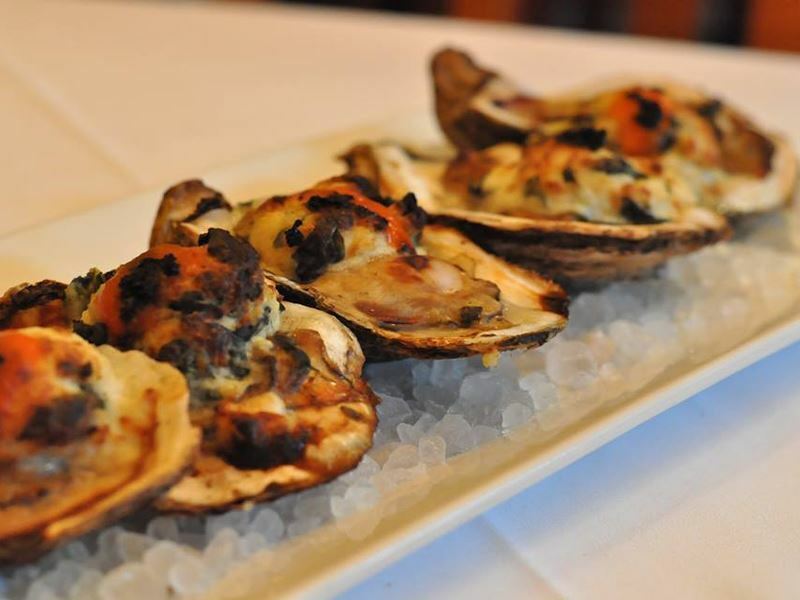 The home of authentic southern dining with a special focus on fresh coastal cuisine, this award-winning restaurant serves up classics like shrimp and grits, jumbo crab cakes and oysters on the half shell with the gracious hospitality the Lowcountry is known for.